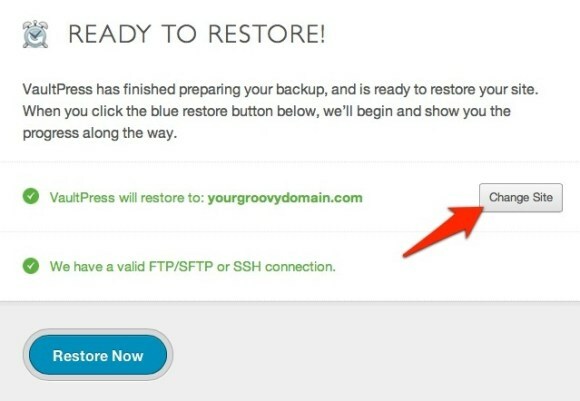 VaultPress is continuing to cook up new features on it’s product and this one’s a long time coming: The ability to restore a backup on a new site! Just imagine the possibilities! You’re transferring old content to a new domain or site or doing a massive migration perhaps for yourself or a client. Or what about moving to a sub-directory even on your current server? This could be a killer feature for those that manage multiple sites and even sites for their customers and clients. You won’t need too much to get started and you’ll have that “magic” migration or restore power at your fingertips. Great work VaultPress and keep it coming.